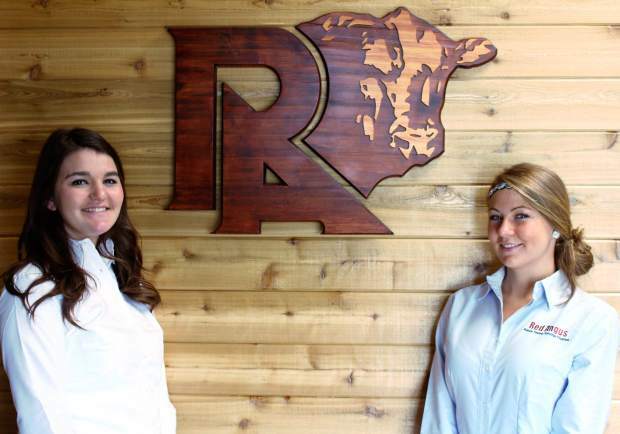 The Red Angus Association of America (RAAA) will be welcoming two interns to the National Office this summer: Kari Ludvigson of Cushing, Iowa and Sage Leblanc of Bozeman, Mont. The internship program is a great opportunity for college students to receive real-world experience and work ethic that will greatly benefit them in the future. The interns will be working closely with the RAAA Marketing Team members while traveling across the country attending sales, visiting ranches and organizing producer meetings. Kari Ludvigson is a senior marketing and ag-business major at Iowa State University in Ames, Iowa. Ludvigson grew up on a Red Angus ranch in Cushing, Iowa, where she worked developing their social media campaign and business relations. “I am very excited for the opportunity to work with the RAAA this summer. I look forward to meeting and working with people within the Red Angus breed, “ says Kari. Sage Leblanc is an agriculture relations and animal science dual major at Montana State University in Bozeman, Mont. Sage has worked in different agricultural areas of the country, allowing her to develop a large range of marketing skills. “I am so excited to have the opportunity to work with the RAAA and Red Angus producers,” stated Leblanc. The interns officially began their duties for RAAA May 18, 2015, and will be based out of their homes. For more information about the summer internship opportunities within the RAAA please contact Barrett Carlisle at barrett@redangus.org or (940) 387-3502 ext. 16. The Red Angus Association of America (RAAA) serves the beef industry by enhancing and promoting the competitive advantages of Red Angus and Red Angus-influenced cattle. The RAAA provides commercial producers with the most objectively described cattle in the industry by seeking and implementing new technologies based on sound scientific principles that measure traits of economic importance. For more information, visit http://www.RedAngus.org.